First, some business. The release of The Curse Servant will be delayed. Before you panic, allow me to assure you this is for a very positive reason! I can’t really talk about that reason at the moment, but things are developing which could end up drizzled in awesomesauce. Thank you for your patience, in the meantime! Second, I had a blast last weekend for my birthday. I ate lobster for the first time. It was, like, just a giant-sized crawfish, as far as I could tell. I also discovered the amazing life-changing properties of tequila and limeade. Thanks to everyone who sent me well-wishing! Third, HOLY CRAP IT’S ALMOST HALLOWEEN! I don’t think I’ll ever get over Halloween. It’s just the cat’s balls, really. And fourth, as I completed my last copy-edits for Curse Servant, I realize just how much commas are my kryptonite. It’s not that I keep forgetting the rules for commas… I seem to have a full-blown mental blank. The rules shift in my head. They make sense one moment, but not the next. Be safe out there tomorrow night, whether walking with kids, whether you are a kid, or whether you’re just kidding yourself. Enjoy some dress-up. Indulge in some dark fantasy. And remember your ancestry. 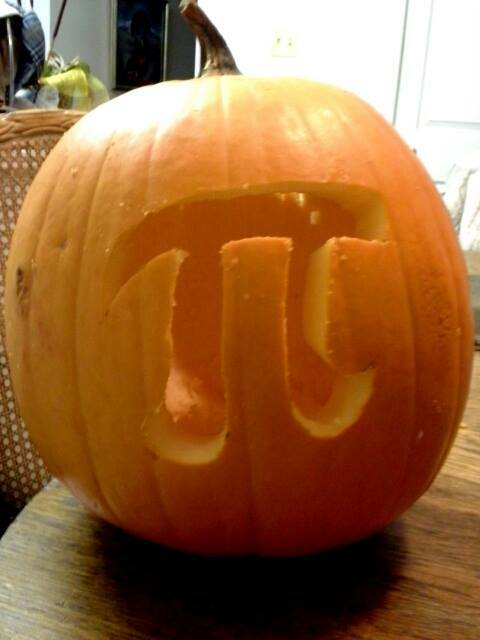 And don’t forget the pumpkin pi. I need you to explain to me in great detail why it’s delayed…right meow!